In a shallow mountain bowl over 2400m above sea level, and crammed with over twenty million people, Mexico City is one of the world’s most densely populated urban areas. It’s also one of the most vibrant and colourful, with a vibe that is both edgy and laid-back at the same time. Over the past few years, stories of the Mexican capital have increasingly graced the pages of my favourite food and travel magazines and newspapers. The world has awakened to a city teaming with awe inspiring museums, ornate churches, colonial palaces and lively urban parks. I believe its the city’s top chef’s who have perhaps acted as Mexico’s best ambassadors, skyrocketing up the ranks in Michelin and San Pellegrino’s coveted lists and tantalizing the tastebuds of culinary tourists from Paris to Portland. I arrived in Mexico City on a mission with DK Eyewitness Travel to create my very own Top 10 list highlighting the city’s best. 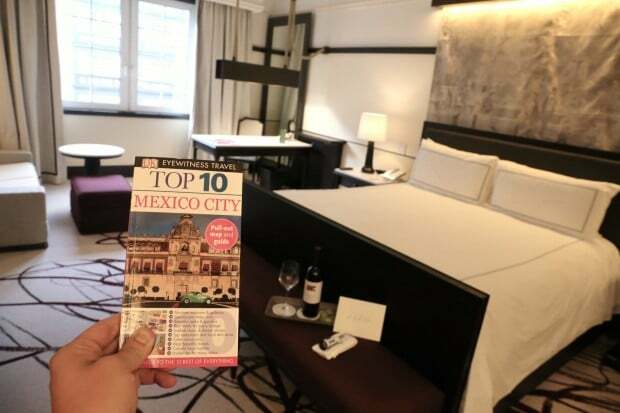 Using the DK Top 10 Mexico City as my go to resource and guide while navigating the city’s awesome offerings I was easily able to explore the capital’s highlights in a three day weekend, although you could easily spend a week slowly soaking up each neighbourhood, art gallery and cozy cafe. Size: super thin and packed full of useful quick tips. Easily slips into your pocket while running around a museum. Easy to Use: each of the chapters lists the Top 10 things you should experience at a particular attraction so if you’re time crunched like me and don’t have 5 hours to spend at the Museum of Anthropology (as their friendly staff like to recommend) then you’ll value the tips and tricks the travel experts at DK have provided. Map: in the books back pocket you’ll find a detachable waterproof map which comes in handy when you are heading out late at night or find yourself splashing through a storm. Great Top 10 Lists: the first few chapters of the book are dedicated to the Top 10 most visited attractions in the city while the remaining are niche lists which are handy for those who have unique interests. 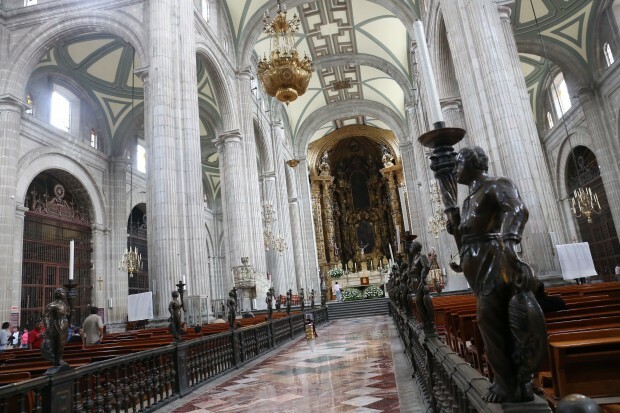 Examples include Mexico City’s Top 10 Murals, Churches, Parks and Festivals. I travel non stop and can honestly say that my visit to the Mexican capital was a rare treat which left my mug smug. I realized I hadn’t been “surprised” by a destination in some time. Perhaps the best adventures take place in the cities and towns we know the least about? During my trip I met many friendly locals who asked me what I loved most about their city. I quickly chirped, “the museum’s are blowing my mind! I’d place them up on a pedestal with the likes of Paris, Tokyo and New York.” Of course the taco’s and tequila are delightful but my fondest memories of Mexico DF will always be its thriving and inspiring arts and culture scene. 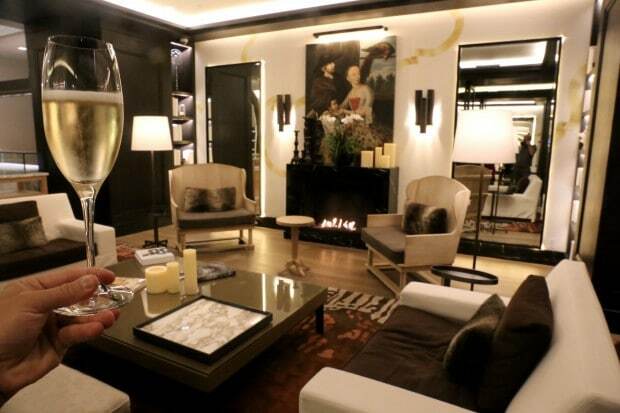 Four Seasons Hotel Mexico DF offers 240 deluxe rooms and luxury suites in a colonial-style building at the centre of Mexico City’s historic Paseo de la Reforma. The stunning 8-story building was designed around a quiet garden courtyard which for many of the city’s who’s who acts as not just the focal point of the Four Seasons but more importantly, an urban oasis where one can escape the hustle and bustle of the capital while remaining in the beating heart of the city centre. The hotel is currently undergoing a grand facelift with sweet suites enjoying a design refresh, classic courtyard being prettied for a posh party and a recently unveiled lobby which embodies the Four Seasons move to embody a vibrant, hip and trendy public space philosophy. The hotel’s 600 sq ft Deluxe Rooms provide guests with modern and spacious areas for work and relaxation where large windows provide cute views over the lush garden courtyard. My room featured a plus king sized bed, executive desk, loveseat, coffee table and private bar while in the full marble bathroom tired tourists can relax in deep soaking tub (or separate shower) and slather themselves in sweet smelling verbena infused beauty by French L’Occitane. The hotel’s petite Health Club and Spa features two treatment rooms, a fitness area, al fresco pool and patio, whirlpool, looker room and sauna. I indulged in the signature Mexican massage which begins with a shot of tequila spiked hot chocolate. For the next hour my body was slathered with mezcal and rejuvenated by a lovely floral aromatic oil which was applied by the therapists soothing touch. The technique has been practiced for thousands of years, recalled to calm the spirit and revive your strength. This ancient tradition known as Mexican rebozo also features warm pouches of quartz stones mixed with aromatic rosemary and chamomile flowers. The numero uno day trip outside of Mexico City is to the awe inspiring pyramids of Teotihuacan. Located about 50km northeast, it is easily the largest of Mexico’s archaeological sites, with enough to see to occupy a fully day. It’s best to to head out here early in the morning as you can (I left my hotel at 7:30am) to avoid the crowd crush in the afternoon and take advantage of the cool morning weather. The ruins reveal a city planned and built on a massive scale, the great pyramids so huge that before their refurbishment one would have passed by as hills without a second look. 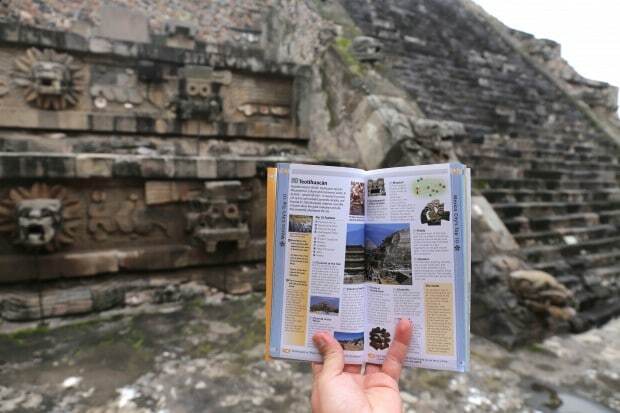 At its height this must have been the most imposing city in pre-Hispanic America, with a population thought to have been around 150,000, spread over an area of some 23 square kilometres. The vast paved open space of the Zocalo – properly known as the Plaza de la Constitucion – was once the heart of the Aztec Tenochtitlan, and is today one of the largest city squares in the world after Beijing’s Tiananmen Square and Moscow’s Red Square. 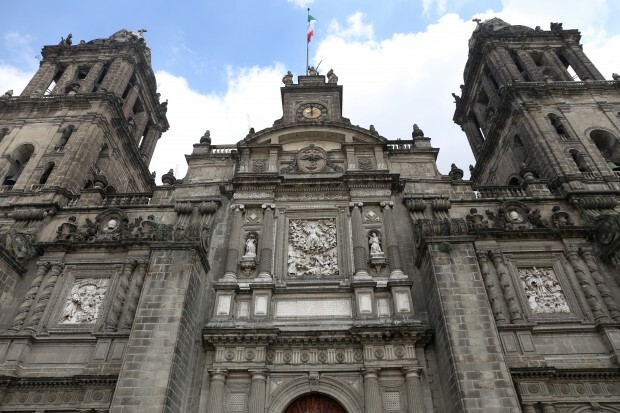 Standing as the focal point of the city’s famous square is Catedral Metropolitana which holds the distinction of being the largest church in Latin America. The first church on this site was constructed only a couple of years after the Conquest, using stones torn from the Temple of Huitzilopochtli, but the present structure was begun in 1573 to provide Mexico City with a cathedral more suited to its wealth and status as the jewel of the Spanish empire. With its richly ornate Spanish Baroque facade, Neo-Classical dome, and twin bell towers rising 220 ft, the cathedral is a majestic blend of architectural styles. I lucked out as I arrived during mass and had the opportunity to watch a sea of devout locals humming a sweet hymn while ancient organs offered a rather epic ambiance. The Museum Nacional de Arte is set back from the street on a tiny plaza in which stands one of the city’s most famous sculptures, El Caballito, portraying Carlos IV of Spain. The open plaza around the sculpture is now often the scene of intense pre-Colombian drumming and dancing, which usually draws an appreciative crowd. Though the museum is foremost a showcase of Mexican art from the 1550s to the 1950s, with a collection of over a thousand pieces, its interest is mainly historical. I was most enchanted by the the museum’s home, a majestic Renaissance-style palacio outfitted with a choir of fabulously quirky lanterns. The city’s largest market is a collection of huge modern buildings, which still can’t contain the vast number of traders who want to set up here. Almost anything you could conceive of finding in a Mexican market is sold here, though fruit, vegetables and other foods dominate. Even if you’re not buying (or hungry for that matter) you could easily spend a half day browsing stacks of dried chiles, a crowd of young men husking corn, pyramids of glistening lime peel and the sizzle of freshly made tacos. I was incredibly lucky to have arrived on the markets anniversary and delighted to find several concert stages set up throughout the market where sombrero adorned dance troupes and local bands entertained crowds amongst mountains of onions and garlic. The Tequila Museum is one of Mexico City’s newest attractions, opened in December 2010, it features a modern exhibit and tasting room for those keen to learn about the country’s national drink. Mariachi bands play in front of agave garden wearing dazzling sombrero while hundreds of mezcal and tequila bottles are generously poured for tasting on a funky al fresco rooftop. The Soumaya Museum, designed by architect Fernando Romero, is one of the world’s finest modern museums. The astounding collection which lives within the quirky buildings slick silver walls was donated by the world’s richest man, Carlos Slim and features more than 66, 000 works of 30 centuries of art including sculptures from pre-hispanic Mesoamerica, an extensive repertoire of works by Europe’s finest and modern masters of Western art. Guests are greeted by Rodin’s The Thinker which is presented against a minimalist white wall. Spend the next hour walking along a spiralling ramp through several spacious floors which feature pieces by Dali, Cranach, El Greco, Rubens, Manet, Monet, Renoir, Degas, Pissaro, Van Gogh, Chagall, Miro and many more! I’ve often wondered what I would do with billions of dollars and Mr. Slim has pretty much fulfilled my fantasy! The Bosque de Chapultepec is a vast green area, about a thousand acres in all, dotted with trees, museums, bloating lakes, gardens, playing fields and a zoo. Locals refer to her as “our Central Park,” and during my Sunday stroll was pleased to witness hoards of adorable couples and energetic families taking advantage of the city’s finest public space. At the top of a steep hill sits the city’s castle which was built in 1785 as a summer retreat for the Spanish viceroy. Until then it had been the site of a hermitage established on the departure of the Aztec rulers. Today the castle houses the Museo Nacional de Historia. The setting is very much part of the attraction, with many rooms retaining the opulent furnishings left behind by its final inhabitants. The upper floor is arranged around a formal rooftop garden which offers a jaw dropping panorama of the city below. Another must see in the city’s expansive park is the outstanding Museo Nacional de Antropologia – for many the main justification for visiting the city in the first place. It is truly one of the world’s great museums, not only for its collection, which is vast rich and diverse, but also for the originality and practicality of its design. Opened in 1964, the exhibition halls surround a patio with a small pond and a vast, square concrete umbrella supported by a single slender pillar around which splashes an artificial cascade. The halls are ringed by gardens, many of which contain outdoor exhibits. You could quite easily spend an entire day here (it’s as grandiose as the Louvre in Paris) so if you’re crunched for time focus on the most remarkable collections found in the Mayan, Aztec and Teotihuacan Galleries. Avoid on Sunday’s if possible (I learned my lesson) as the museum is free to locals and do they ever line up in droves! Looking to enjoy a night out on the town over the weekend and even packed a pair of your favourite dancing shoes? 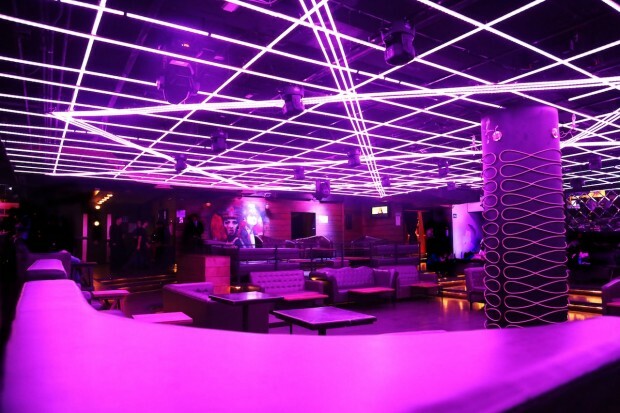 You’ve come to the right place as Mexico City’s LGBT nightlife offering is one of the liveliest in Latin America. If you’re in town on Friday and not totally exhausted from the work week head to Envy or if Saturday’s more your thing head to Guilt. Both gay bars are owned and operated by Fernando Carbajal who I had an opportunity to meet on my final night in the city when I whisked my way through the lively crowd at Guilt.